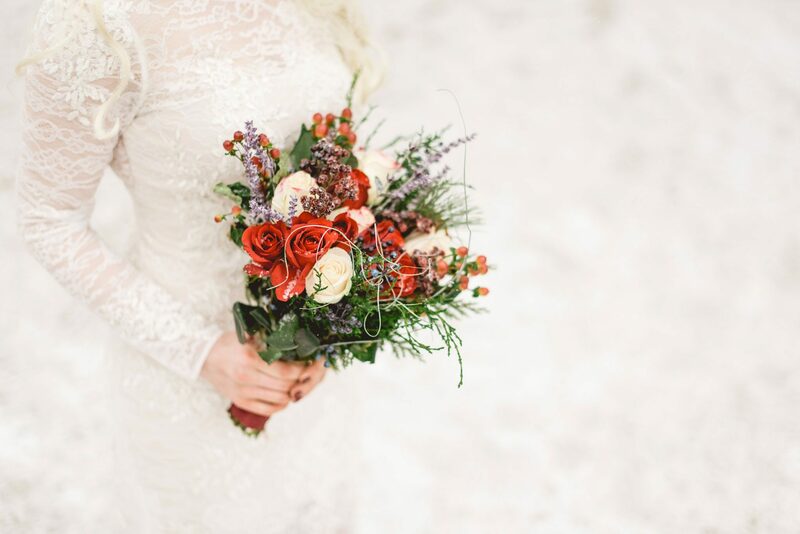 From the bride: We had a planned trip to visit Patrick’s family for Christmas in Colorado before moving overseas, and figured it would be the opertune time & place to get become husband and wife. Everything happened so fast for us. 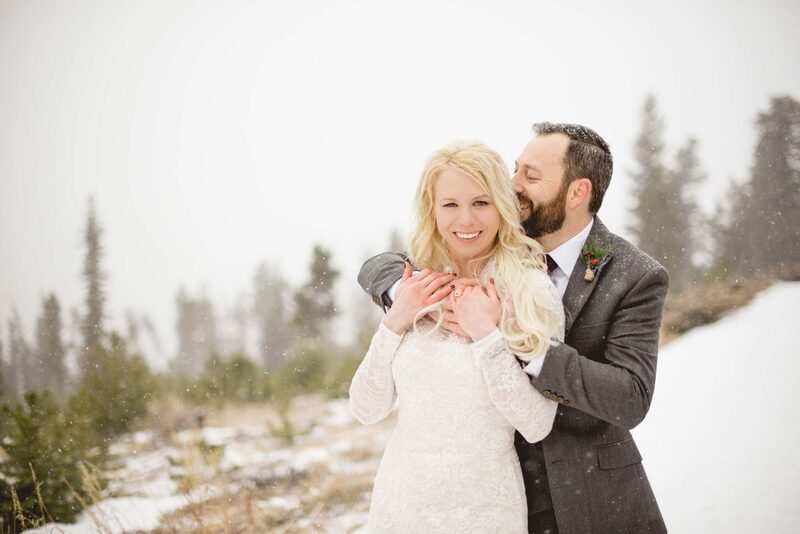 We were engaged in August, and we really wanted to be married December 21st, which left little time for planning and coordinating a wedding across the country. 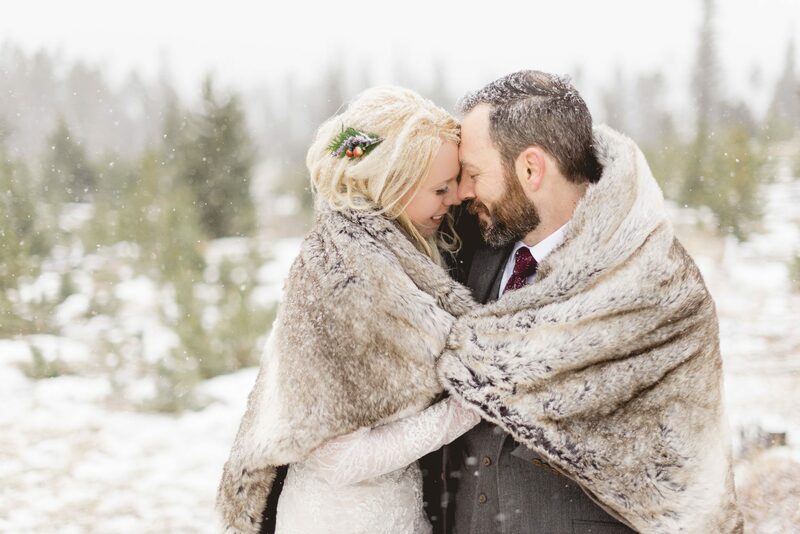 My husband loves winter and the mountains, and I loved the significance of the winter solstice, “after December 21st, every day becomes a little brighter than the last. 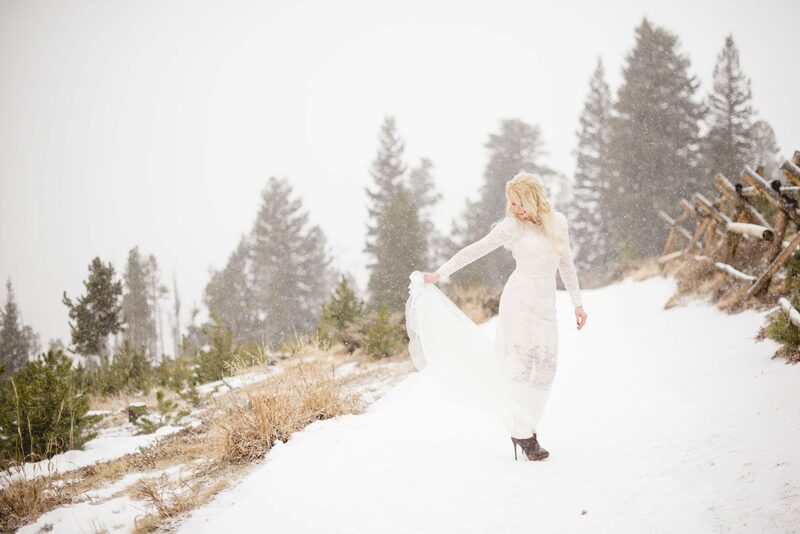 We were instantly drawn to Sapphire point for our elopement location for several reasons. Sapphire is the December birthstone, and Patrick got me the most beautiful sapphire engagement ring. 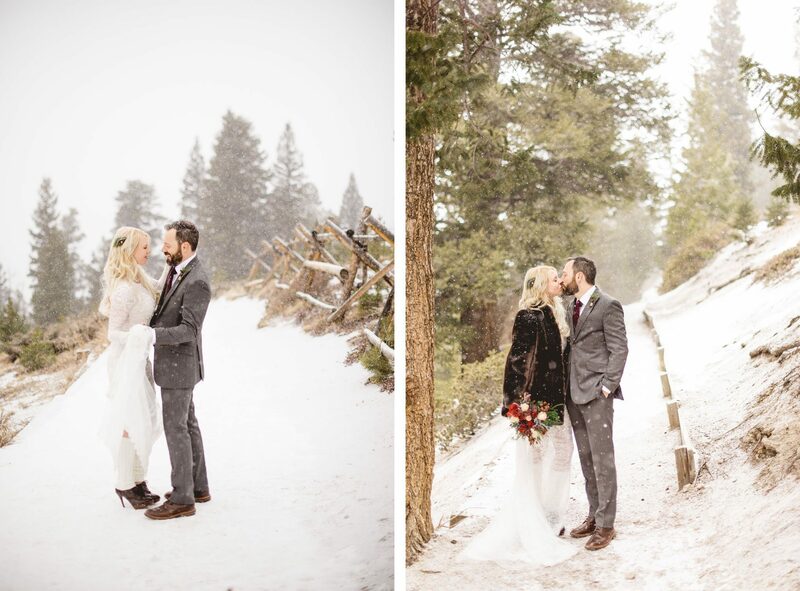 We were also staying close by, in Breckenridge for Christmas, and while looking in the location for a potential elopement spot, we could not believe it’s incredible beauty. Just Do it! I love how the day was truly just for us. However it was also important for me to feel like a “bride” . To be able to wear a beautiful wedding dress, and pick out a cake + bouquet. 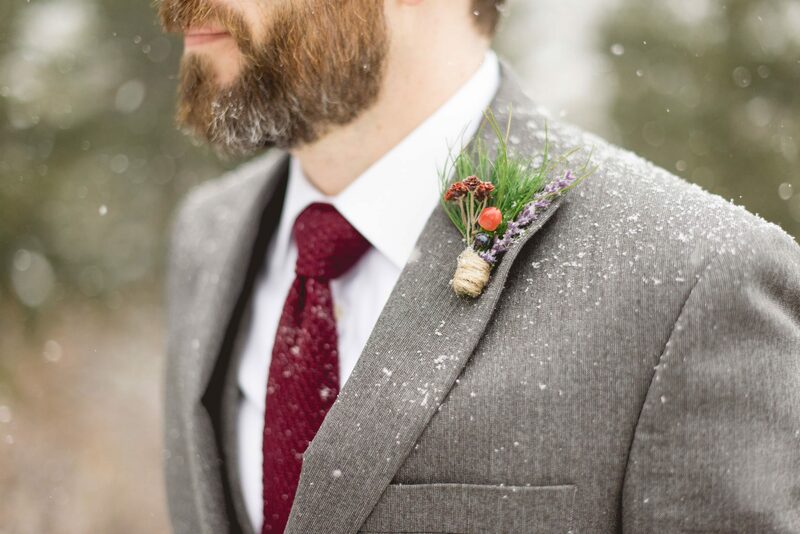 I feel by eloping we avoided all of the stress that comes with planning an actual wedding. For example, the bouquet we had selected from a florist did not arrive by our expected date as planned. Which meant I had to make my own very last minute (which was actually ended up incredibly fun) I don’t know how one would be able to handle an entire floral arrangement for a wedding party and ceremony not arriving on time. We could not imagine having gotten married any other way.